Like Joolwe on Facebook-gloria m.
I love the 14k Yellow Gold 5.22-carat Amethyst, Peridot, White Topaz and Emerald Gypsy Necklace, thanks for the chance! 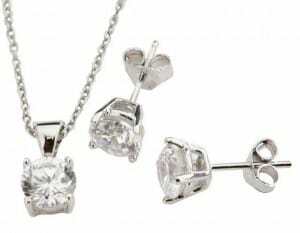 I like the 14k White Gold and 1.33 ctw Cubic Zirconia Interlocking Heart Necklace. My favorite is the Gold Over Sterling Silver High Polish Hoop earrings. Simple but chic! I like Joolwe on Facebook.